Under the General Duty of Care, your COMPANY maybe exposed to NEGLIGENT ENTRUSTMENT. Your risk as an EMPLOYER might be due to consequences of an employee using a mobile device when they are driving a company vehicle whether on company time or not. Using the phone to make calls, text, emailing and/or using the device for any application when vehicles are in motion greatly increases the likelihood of risk of being at-fault in a vehicle crash. This irresponsible behavior of the driver increases in the frequency, the severity of distracted driving crashes and therein place negligence and vicarious liability exposure on the employer. Cell Restrict™ helps eliminate the risk by providing a simplified cellphone app solution with a user-friendly yet comprehensive management platform and reporting system. A cost-effective risk management tool that is quintessential and enforceable. Cell Restrict™ Safeguard and Protect Your Assets By Reducing Distracted Driving. Simplified smartphone prevention app for distracted driving. 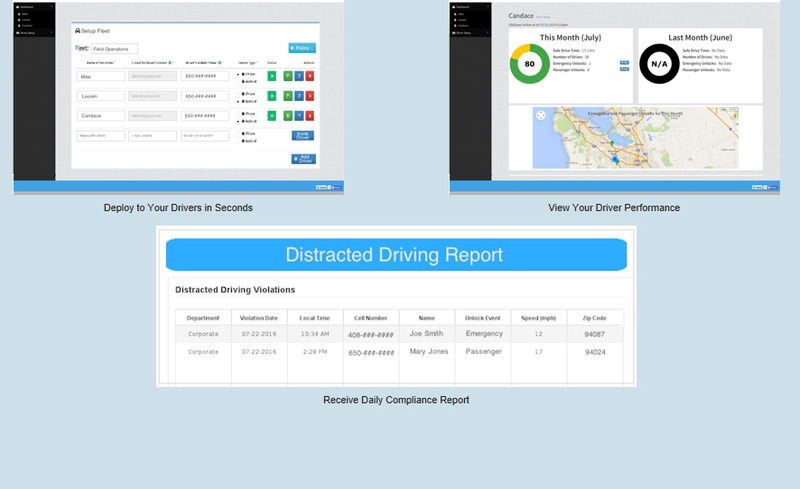 An award-winning app platform that discourages employees from talking, texting, emailing, posting to social media, surfing the web, and more while driving. The University of North Carolina Highway Safety Research Center study found an estimated 284,000 distracted drivers are involved in serious vehicle accidents every year, with cell phone use being one of the major contributing factors. Cell phone usage is a distraction while driving, but so are a lot of other things. So why are employers worried? 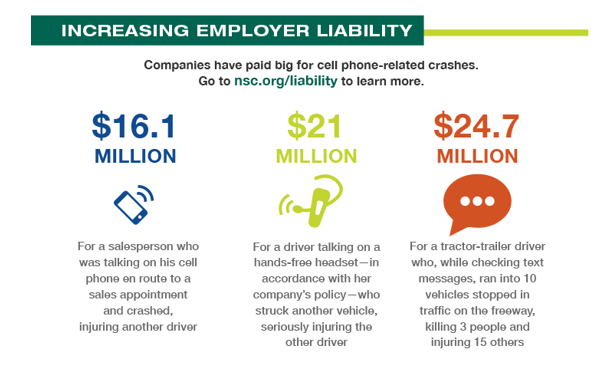 In the past few years, cell phone usage has been an issue in several lawsuits, and employers are being held responsible if a worker causes an accident while talking on the phone.